We encourage all participants, leaders, team managers and spectators to adopt and demonstrate the 'Spirit of the Games' at all our events, and have linked the values closely with our codes of conduct. All of our competitions and festivals have adopted one particular ‘focus’ value, where individuals are rewarded for their exceptional demonstration of that value during the event. 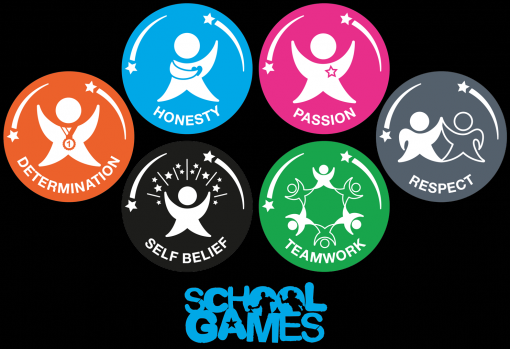 Schools across North Oxfordshire have adopted the School Games values, and use them alongside their whole school values - developing a range of behaviours, qualities and inter-personal skills with their students based on sporting experiences, scenarios and attitudes. North Oxfordshire School Sport Partnership has created a number of resources (found below) for schools to adopt and utilise, to promote the values and to help develop a positive ethos within their classrooms and across the whole school.